How he came about that name is a story in itself. When he joined the high school team as a diminutive sophomore, the low raspy voice seemed so inconsistent with the miniature version of a man that was standing in front of me. He was shy; and in fact, I wondered if he could speak. When he did talk, he sounded not unlike Donald Duck of the cartoon fame; and the rest, as the cliché goes, has been history. I still call him ‘Pat;’ and I often even forget that his given name is Deney. Anyone who has played on the same pitch with or against Pato remembers him for the intelligence of his play. Such is the beauty of the game of football that whatever the physique of a player, there will be room for him on the pitch; albeit, it goes without saying that some types enjoy an advantage over others. Pato was not blessed with height; his bone frame was slight; and his speed was only average. He compensated for the handicap in physical attributes by using superior intelligence that allowed him to dictate the pace of a game in the very same role that Marasigan used to flourish in – that of the attacking midfielder. 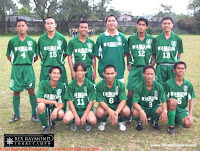 Like Marasigan, Pato was the master of the short-passing game; and excelled in linking play with teammates. He did this almost effortlessly. He would glide gracefully into confined spaces; return crisp short passes back to teammates; and then find space again with consummate ease. This he was able to do not only because of a superior intelligence that gave him excellent positional sense and decision-making but also because of superior technique in striking the ball with either foot. His football was best played on the carpet; done quickly and neatly. He was a lethal goalscorer, too. He loved to play quick 1-2s with strikers, get behind the opponent’s defensive line then slide simple tap-ins past advancing goalkeepers. Fancy made-for-television overhead kicks, those were not Pato’s style. When he scored goals, he did so without fuss and often ‘passed’ the ball into the goal. In split seconds, he picked exactly where opposing goalkeepers would have absolutely no chance to save his shots. 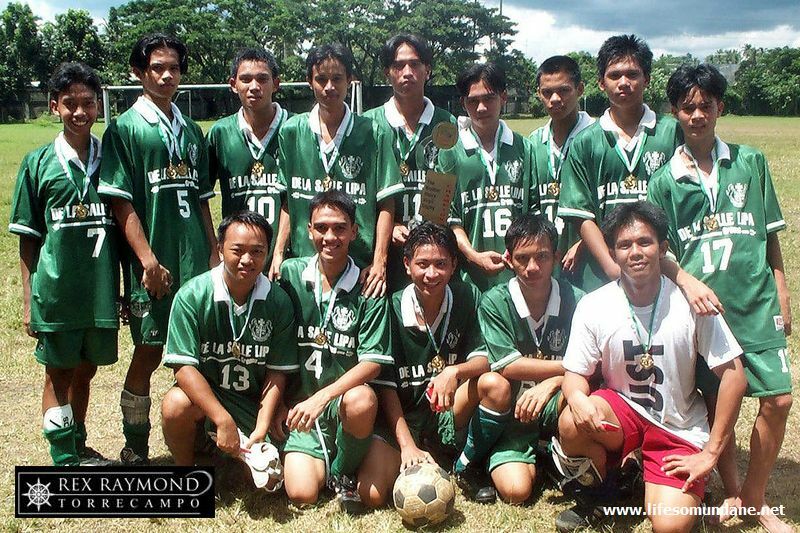 Unlike Marasigan, Pato played on the right flank in a high school team that overflowed with midfield talents. 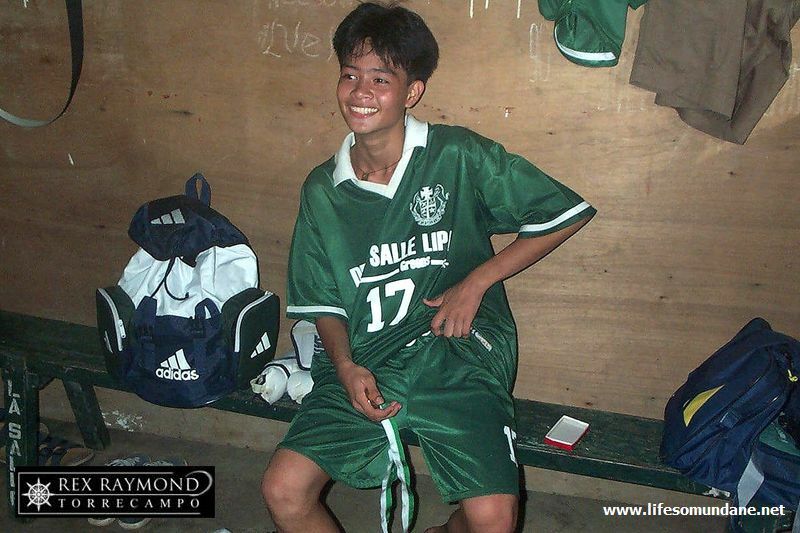 The mercurial but equally gifted Mark Allen Padua was preferred in the inside midfielder’s role; and it was only towards the end of his senior year when Padua had to leave the team that Pato was utilized more as an inside midfielder. It was the college team, thus, that benefited from Pato’s blossoming into an attacking midfielder par excellence. That said, his impact was not immediate. I naturally knew the young freshman from the high school team; but was hesitant to use him in the more physically challenging world of college football because he was so small. 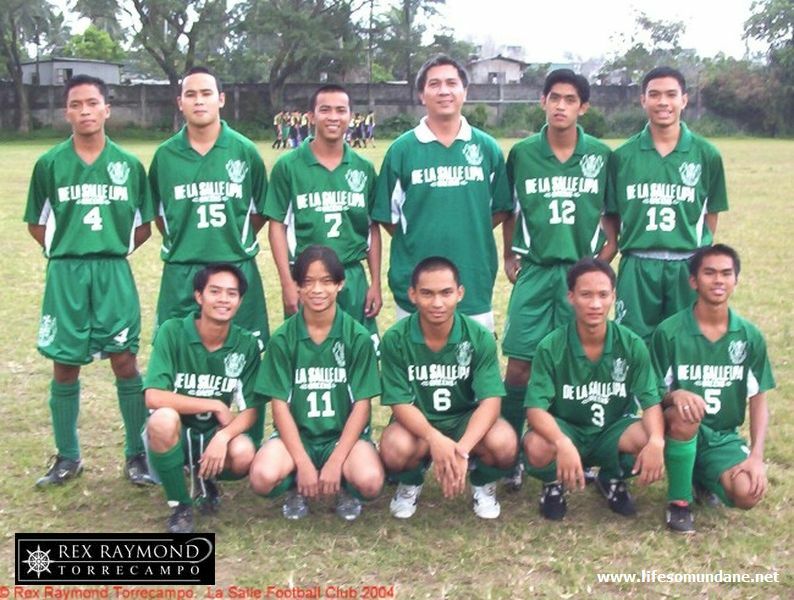 In fact, in one Regional PRISAA match played in Lucena City back in 2000, I had him on the bench with a cellular phone for an early morning match that I tried to catch but subsequently arrived late for. I was periodically calling him up as we drove to the venue to ask for updates and give instructions. Coaching by cell phone, how about that! In time, Pato added a few more inches in height and girth; although he continued to be slight of built. Player graduation meant that he had to go into the first team. He grew in stature with every game and was soon giving the college team the panache and respectability that it did not previously enjoy. 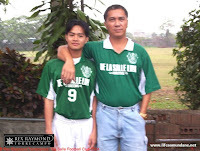 He was initially protected by the excellent Norbert Manguiat – who played in the holding midfield role – and then by Joel Hernandez after Manguiat graduated from college. Both Manguiat and Hernandez were physically robust players who got stuck in with crunching tackles to win back possession then played the ball back short and simply to Pato so we could resume attacking. Pato was fortunate to have played in the same team with two strikers who still hold the top two LSFC goalscoring records: Reyan Quinto and Eldrich de Villa. 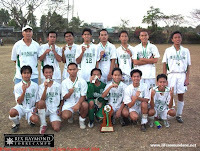 Quinto played in the high school team of 1996; while de Villa was, in fact, Pato’s teammate from the 1999 high school team. The understanding between the three was almost clairvoyant; and the football flowed rich and bubbly like champagne from a bottle. It was, perhaps, the modesty of our college team that did not allow Pato to soar to heights reached by Marasigan during the latter’s prime. The team lacked the depth and resources to go beyond the region, where it was always something of a big fish in a small pond. 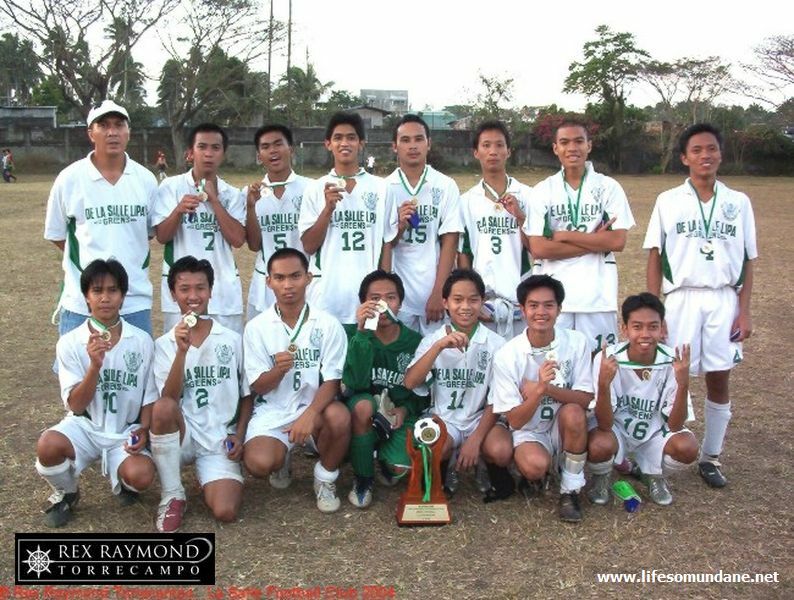 Had Pato gone to a school in Metro Manila, though, who knows how far he could have gone? Pato finally graduated from college in 2005. Because the college squad was unbelievably thin – we were playing some matches with as little as nine players – it was not a successful year. It was a bit of an anti-climax for a player who, despite his lack of physical attributes, could so dominate a match because of the sheer intelligence of his football. I used to say often enough that what one was outside of the field one simply brought onto it. Pato’s football was simple but precise. That was Pato as well as a person. The simplicity should not be thought of in negative terms because football, I also used to say often enough, is a simple, simple game; and it is players who complicate it. It takes intelligence to understand the simplicity of it; and in this regard, Pato had few equals. It is the simple but intricate interweaving of passes that brings football to its highest level because it is, after all, a team – and not an individual’s – game. This way, the football becomes so much more than a game. It becomes something similar to champagne that one can toast and enjoy. This was Pato’s game. It was champagne football.